So, today, we would like to talk about Clara Bow, one of the most popular silent film actors of the twenties. She was born in 1905, and was discovered early. Her first role, in the 1923 film Down to the Sea in Ships, told the story of the New Bedford, Massachusetts whaling community. Although Bow had a small role in the film, her performance stood out and compelled her towards star status. People loved her mix of vulnerability and charm, and she made dozens of movies, including, most famously, It and Wings, both in 1927 and the latter the first film to ever receive an Academy Award for Best Picture. Unfortunately, celebrity proved debilitating for Bow, and she retired from film by 1933 to move to Nevada and live on a ranch. She was 28 years old. QUESTION: Clara Bow starred in seven films in the year 1927 alone, including Wings, the first film to win the Academy Award for Best Picture. Another young actor starred in three of those films with her, which triggered his own rise to cinematic greatness. Who was he? The Cold War between the Soviet Union and the United States was in full swing, as was the Space Race, when the first Polaris Missile was launched on this date in 1960. 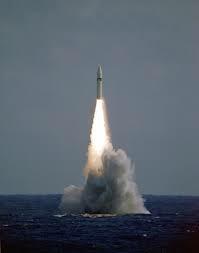 The first launch happened from the NASA base in Cape Canaveral, Florida; however, it was designed by the U.S. Navy to be able to launch directly from our submarines. Fortunately, the Polaris Missiles were never used in anger, as the Cold War never turned hot. They were, for all intents and purposes, obsolete by the 1980s, although they were generally replaced with bigger missiles. Happy birthday, Millard Fillmore! The man who would be president was born on this day in 1800, during the presidency of John Adams. The 13th man to hold the office was not elected into it, taking over upon the death of Zachary Taylor, and his efforts to be elected in his own right did not succeed, largely because of the part he played in the Compromise of 1850, a complicated arrangement made to pacify hostile slave- and free-state advocates in dealing with U.S. territories west of the Mississippi River. I won't try to overwhelm (some might say "bore") you with the details, let's just say nobody was happy with the results, and Fillmore's federal ambitions ended in 1853. 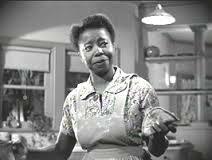 Another January 7th birthday honor goes to Butterfly McQueen, the African-American actor most famous for her role in 1939's Gone With the Wind as Prissy, Scarlet O'Hara's maid who "...don't know nothin' 'bout birthin' babies!" An outspoken advocate of civil rights, McQueen criticized the negative portrayals of African Americans in cinema, and eventually retired from the industry to study political science. Answer: d) Gary Cooper, who starred with Clara Bow in It, Children of Divorce, and Wings. Cooper would go on to make numerous great films including High Noon, The Pride of the Yankees, and For Whom the Bell Tolls.